The big blue bug is back. Deadline reports Amazon has officially ordered a pilot for a new take on the cancelled FOX series, The Tick. The live-action comedy only ran for one season on FOX back in 2001. Created by Ben Edlund, The Tick originated as a comic book about a superhero who moves to the big city and befriends an accountant, Arthur, who becomes his sidekick. An animated series of The Tick ran on FOX Kids between 1994 and 1996. 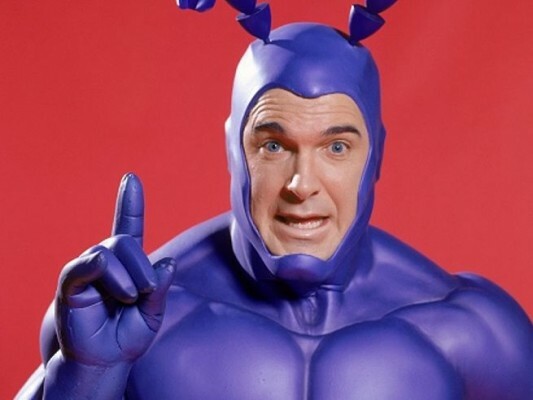 The live-action series starred Patrick Warburton as The Tick alongside David Burke, Liz Vassey, and Nestor Carbonell. Edlund will reportedly return as a writer and executive producer for the Amazon revival series. Griffin Newman has already been cast as Arthur alongside Valorie Curry as his sister, Dot Everest. Casting is currently underway for a new lead. What do you think? Are you a fan of The Tick? Would you watch Amazon’s revival series? Who would you like to see cast as The Tick? More about: Amazon TV shows: canceled or renewed?, The Tick (2001), The Tick (2001): canceled or renewed?, The Tick (2016), The Tick (2016): canceled or renewed?